Products-> Waterwell Pro Hydrochloric Acid 5lt. Waterwell Pro Hydrochloric Acid 5lt. 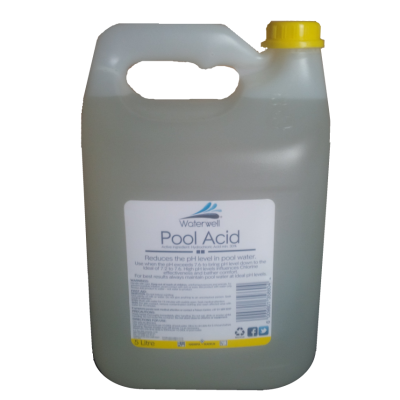 Hydrochloric acid is alway better to use in the pool than sulfuric acid.